Bit of back ground on me first. I'm nearly 43 years old, 5'10'' and been training for 8 years but 5 years seriously. Done cycles of M1T, M-Tren, Trenevar, Anavar, Fusion Xtreme Mass and Katanadrol previously. I've just started a cycle of Adamantine today and will log my progress, or lack of it lol. It can be run for 8 weeks, if not more, so depending on my findings I will have to wait and see how long I run it. If I don't get results within 14 days then I will abort this log. This is claimed to be a natty test booster with 'Superhuman strength and recovery'. It obviously cannot live up to giving 'Superhuman' strength gains but all the reviews i've seen have been positive and the majority of users have reported a strength gain of 10kg-15kg on squats and bench in less than 2 weeks - very impressive for a natty test booster never mind a mild pro hormone, with the feeling of running a mild pro hormone from user reviews. No cycle support or PCT is needed here which is a bonus if it actually works. I will be training and eating as though i'm on a mild pro hormone cycle, keeping my calories around maintenance maybe 100-200cals over to give me an idea how good it is for fat burning and putting on strength/muscle. 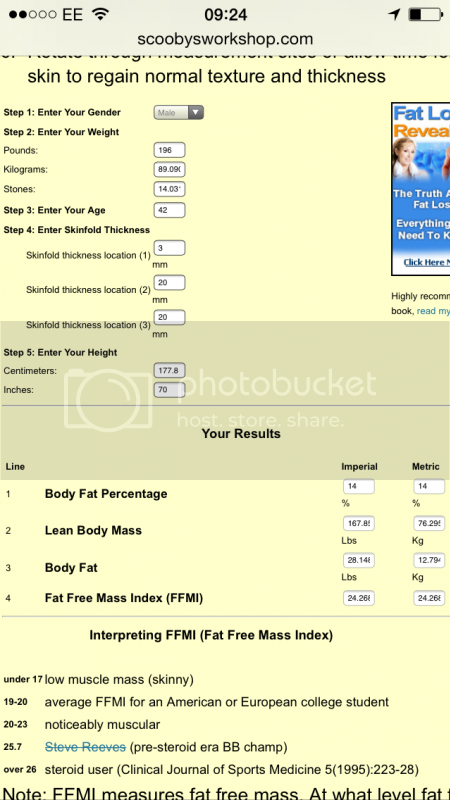 I'll measure my body fat and lbm in the next couple couple of days and then log it. I will update the log every 2-3 days hopefully. I got a pot of this on way, only cause I got a 30% off code for it though. Maintenance calories of 4,800? Holy Moly. Do you have a highly active job or do loads of cardio, or do you just have a monstrous metabolism?! 4.8k calories is a ****load to maintain on with your stats! Can't really decide if that would be a curse or a blessing lol. I'd put on some serious chub with that intake! I'm very sceptical about this too, seems way to good to be true I know but IF it does work then it'll cost me less in the long run and it won't batter my head when it comes to pct trying to maintain gains. Probably find once I've come off all the gains will go quickly lol. Had a great workout and the aggression is there already, very similar to running a PH. I can't comment about the pump at the moment, it appears no more than usual but from experience of running a PH that can take time to show itself, certainly not in the first 3 days. I'm working arms/chest/shoulders twice per week. I did chin ups for years but never really felt anything in my arms so changed to BB curls if you're wondering where the compounds are. Nothing else to say at the moment really. Current weight 196.36lbs so just under 0.5lbs down since yesterday despite me chomping down on 5200cals. I figure if maintaining is 4800cals and I do 12 sets on a workout day, then an extra 400 cals should work out at roughly maintenance calories. From when I began on Monday it looks as though i'm consuming the right amount of calories to take me slightly over maintenance. I'll start by aiming for around a 1lb per week weight increase. Second note. Woke up this morning with pumps in my arms and they are very pumped as I type this. Even though I didn't work my traps yesterday with it being arm day my traps are also pumped and i've got slight DOMS in them? The pump is something i'd expect from a PH so maybe I should put this down to the creatine nitrate... There's no water weight coming into play here either. Managed to add 1 rep to both bench and incline bench. Added slightly more weight to dips over the same amount of sets. No PH strength gains yet and certainly not on a par with Trenevar or M1T where I would have easily added double that within the first week, but that's an unfair comparison, just a note really. I'm hoping the 'Superhuman strength' increase will show itself soon . Massive pumps particularly to traps, also pumps to chest and arms - on par with a PH. Noticed an increase in energy so added a few sets of seated DB presses using my Power Blocks. I'm recovering from a rotator cuff injury so went light on them. Body weight is up from Monday and no sides to report so far. I'm slightly concerned that I started at 195.75lbs and now i'm at 199lbs in only 6 days considering it's a natty test booster. T-shirts have already gone tight everywhere so there's some water weight and the scales are going up nearly as fast as using M1T at slightly over maintenance . Could this be estrogen creeping up?? As I say this does feel very, very similar to using a PH and I just can't get my head around it. Even if I did gain a good amount of lbm I just can't see any way that it'll stay around for very long with it requiring no PCT. Your routine is frankly CRAP. You really need to change it and drop calories by at least 1000/1200. Do combination exercises : Some Leg work : Front squats and TRX Full squats (hand held Cable support) say 2 * 12 for each exercise. Combine with Pecs :Cable TRX Press-ups 2 * 12/10 : Incline bench 3 * 12/8 : Incline Dumbbell Press 3 * 10/6. Overhead Dumbbell press 2 *12/10 : Cable press 2 * 12/10 : M/C press heavy 3 * 8/4 followed by Cable side Laterals 2 * 10/8. Biceps : pull-ups (chin bar) 2 * as many followed by cable pull-downs ( as heavy as possible) 2 * 8. Wide Pull-downs 3 * 10/8 : "V" Bar pull-ins seated 3 * 8 : Single arm cable row 3 * 10/8 followed by Strap pull-ups 2 * 8. Triceps : Narrow bench press 3 * 10/8 heavy : Scull-crushers EZ Bar 3 * 10/8 : Seated "H" Bar extensions 3 * 8. Thats it for the week say Monday Wednesday Friday weekend off. Anyone else used this, no sides and no need for PCT very interested in how this adds strength and size gains. Very true, all in the mind.